Are you seeking a different style of yoga to mix up your exercise routine? If you’re crunched for time but still want to stay in good shape, try Tibetan yoga. Tibetan yoga has five simple and effective exercises that can be completed in 10 minutes. The Five Tibetan Yoga Rites help increase fitness levels, flexibility, circulation, decrease weight, lower stress levels and instill peace and calmness. Buddhist monks in the Himalayas founded Tibetan yoga over 2,500 years ago. A British army officer, Colonel Bradford, discovered these rites in the 1900s when he traveled to a Tibetan monastery and learned the exercises from the Lamas. Peter Kelder published a book, The Five Rites of Rejuvenation, recounting Bradford’s experience and the five rites in 1939. The rites are said to be the fountain of youth. Tibetan Lamas created the yoga routine to help them live a longer youthful life. 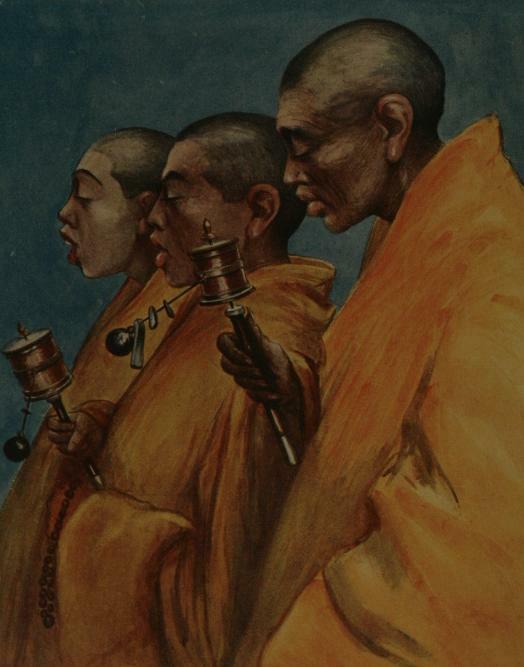 There are monks who even claim that the five rites reverses the aging process, as most of the Lamas live up to 100 years but look as if they are 50 years old. The exercises stimulate the energy systems in the endocrine glands, also known as chakras, and increase your alertness and energy levels. Recent studies show that hormone-loss and hormone imbalances affect aging. Tibetan monks believe that because the exercises tap into the chakras, hormone imbalances in the body become normalized and slowly reverse the aging process. The difference between the general traditional Hatha yoga, most commonly practiced in the West, and Tibetan yoga is that Tibetan yoga focuses on continuous movement of the body while Hatha yoga focuses on static positions and poses. You don’t need to take a class in order to learn the five rites. You can simply order an instructional CD or online videos and in a few hours, and you will be able to practice Tibetan yoga daily. Tibetan yoga works out all four systems in our body, including the cardiovascular, respiratory, digestive and nervous system. It improves overall health and fitness. The five rites are stretching exercises that helps relieve muscle tension and also tone your muscles. You don’t need any equipment for these exercises, just enough space in your house, a mat or towel for non-carpeted floors and perform the five exercises daily at the same time with an empty stomach. Although it is required to do twenty-one repetitions of each of the five exercises, it is recommended to build your way up if you are not physically fit, especially if you have just started these exercises. Begin with just three repetitions of each exercise and then gradually add more each week as you get more comfortable with the rites. You should not perform more than twenty-one repetitions because it will not be beneficial to your health.